I may live to regret this impulse buy but I just couldn’t say no! 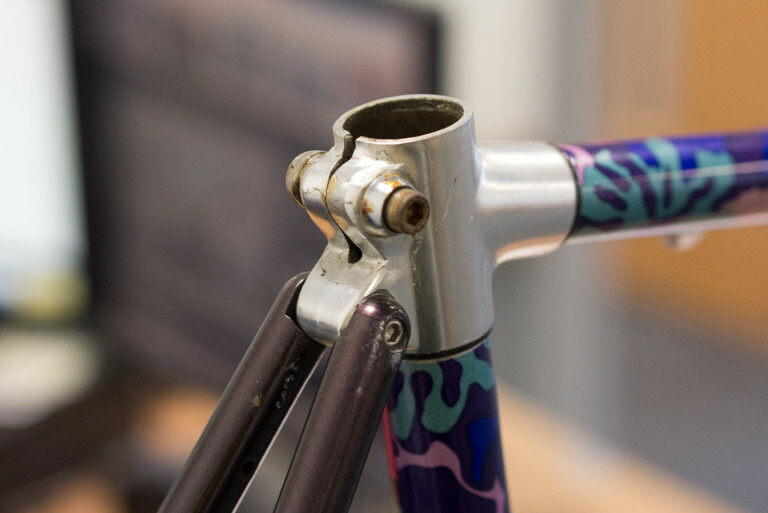 I’d been looking for an old retro frame to build into a fixie for a while. Mike (Merlin’s customer returns chief) had recently bought this frame and it really caught my eye. 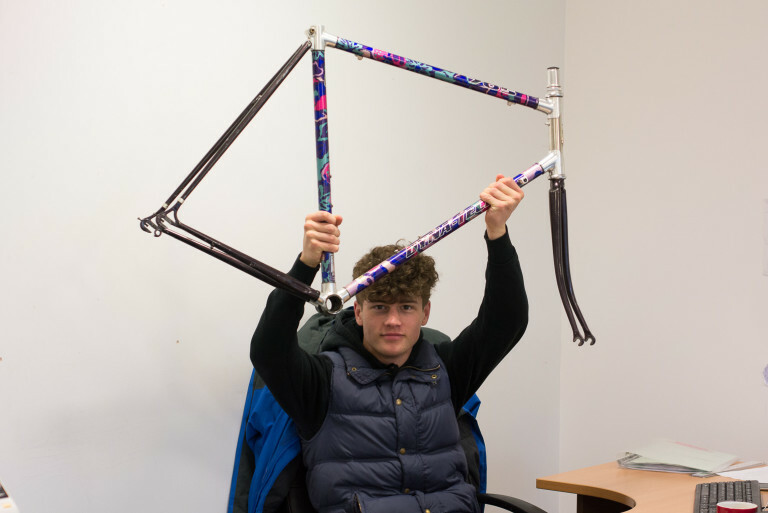 Not long after building it up he was after selling it to put the money towards a new bike. Mike is something of a serial bike builder! It was a no brainer, I snapped it up straight away. Even though is a little too big. The next issue is encountered was everyone’s opinions on what to build it up with. Whether to match the silver lugs or go with full black components..? Shiny silver stuff is hard to come by these days. Black would be the easier option. Whether to go a little earlier than 90s and fit an 80s Selle Turbo saddle or to fork out for a 90s period Selle Flite saddle..? 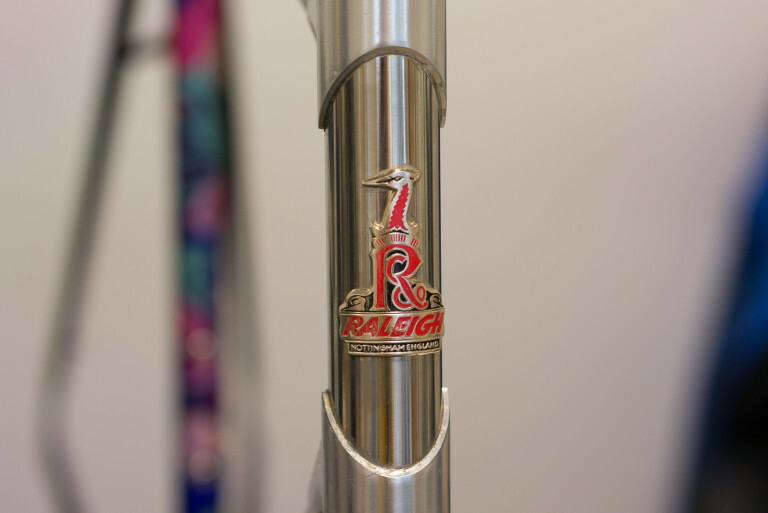 I don’t want to break the bank in the process but I also don’t want a nice frame to be built into a tacky-looking bike. Gears or singlespeed or fixed? 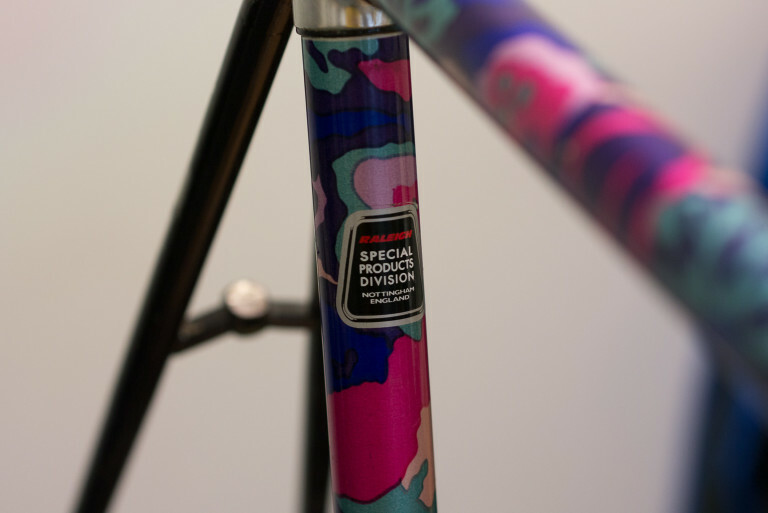 I began my initial search for a frame in order to build up a fixie. Let me know your opinion in the comment section below. Sourcing new parts shouldn’t be too hard. 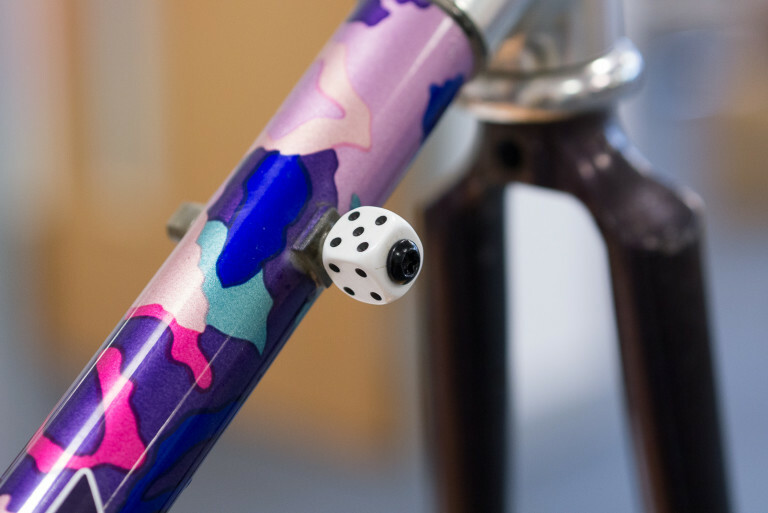 Although I am thinking of going with silver components to match the polished lugs which will restrict my options. Silver singlespeed wheelset. Perhaps flip flop hubs so I have the option of going fixed if the temptation becomes too much? The most important bit for me is getting a polished silver ‘7’ quill stem. They really do make a retro bike look classy. If it was your bike what would you do with it? If you have any ideas on what to build it up with – or what to definitely avoid – leave a comment in the section below. It would be greatly appreciated! 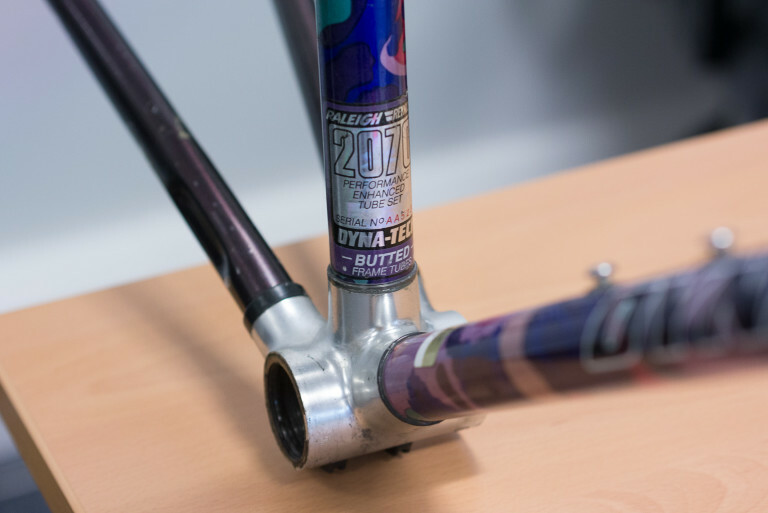 Tagged dyna tech, dynatech, raleigh, retro, retrobike, vintage. Bookmark the permalink. I would build it as a fixie. Unless you really like riding single speed freewheels I wouldn’t bother with the flip flop, advice I didn’t take!